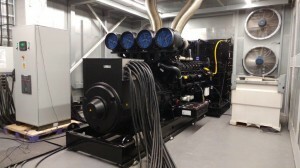 You may have picked up that we’re proud of our team here at shentongroup: A team that endeavours to deliver seamless project after seamless project, thanks to over 35 years’ worth of standby generator expertise. When a client required a flawless continuous power solution comprising standby generator, plus a more than adequate 20,200 litre fuel tank, the team set to work. Dealing directly with the client, this intricate project was remotely managed from our Shenton House headquarters with our supervisor overseeing from a site perspective. We provided a 2200kVA ‘standby rated power’ open generator, complete with 85dB(A) @ 1 metre attenuation/silencer installation. This standby power generator, fuel tank and attenuation had to be skated into position and the design, including the silencer, had to be installed into a very small metre-squared footprint. To ensure optimum operation, factory acceptance testing was undertaken for the client in our all new, state-of-the-art generator test cell, at Shenton House HQ. 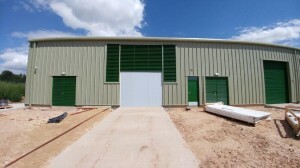 As is always the case, the shentongroup team completed their works within budget and on time. The client was not getting a mains supply to their building until mid-September. We therefore orchestrated the project so that our client could run the generator under ’prime’ power whilst they were commissioning and testing their mechanical and electrical equipment, until they finally achieved their mains power supply. To learn more about how shentongroup manages generator projects, our library of case studies (click) demonstrates successful projects across all sectors. To speak to a member of the UK’s Leading Technical Experts in Standby Power, Uninterruptible Power Supplies and Combined Heat and Power Systems, click here!